If you look carefully at the head of the Cabal Peninsula as the ferry passes by, you’ll see a lighthouse. And to the left of the lighthouse are tunnels and gun emplacements for the defense of the shipping lanes. 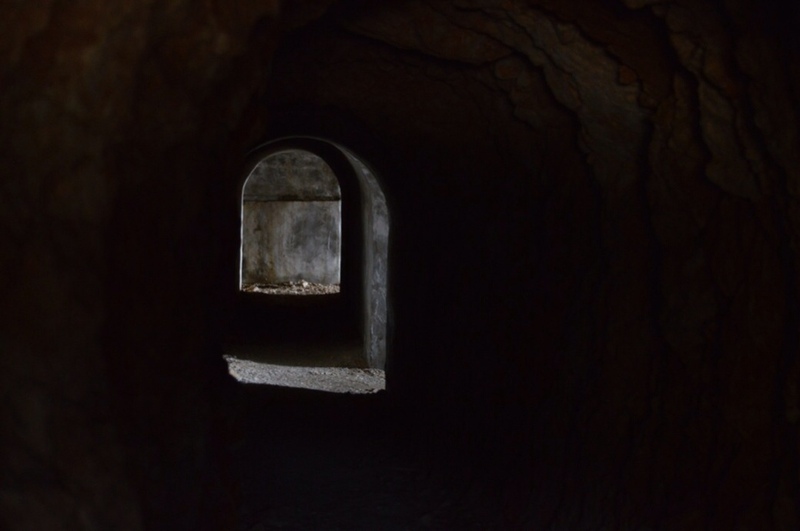 The tunnels date from 1969, one year on from the invasion of Czechoslovakia by the Soviet-led Warsaw Pact armies, effectively shutting down the Prague Spring. The Soviet regime did not approve of any loosening of control within its allies. Yugoslavia, of course, was not part of the Soviet bloc, had not been since Tito broke ties with Stalin in 1948. Neither was it part of NATO, the other side in the Cold War. Instead, Yugoslavia trod an independent path, trying to stay out of the heavy politics and escalating arms race. A founding member of the Non-Aligned Movement, Yugoslavia was friends with India, Indonesia, Mexico and a host of other countries round the world that were concerned with remaining independent of the superpower spheres of influence. But when the Soviet-led armies quickly and efficiently took over the Czech capital replacing the Dubchek government, it was very obvious how easily a large power could overcome a small country. So in 1969, Yugoslavia passed the National Defense Law, which effectively set in place a resistance army – the Total National Defense Force. The entire population was prepared to resist an invasion, from school onwards. This was intended to supplement the official army, the JNA. Local units operated in their own familiar terrain, and were trained in guerrilla warfare. In this atmosphere, secret bases were constructed, and some of them armed. 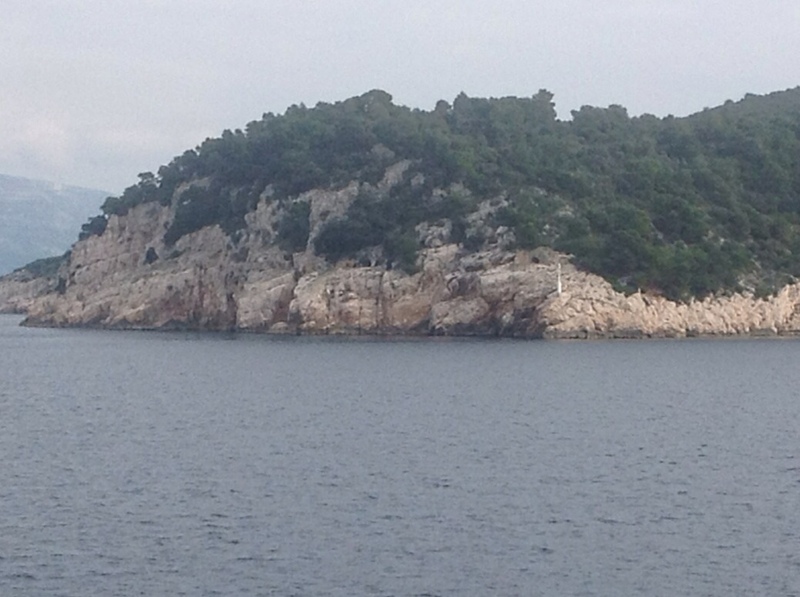 The Hvar tunnels are part of that defensive system built in 1969. Set into the western-most point of the Cabal peninsula, with its gun emplacements/ lookout positions, it offers great views over an important shipping channel. The entryway to the tunnel is concrete, looks very solid. There are several rooms off to the left, presumably for people to stay there and operate independently in case of invasion. 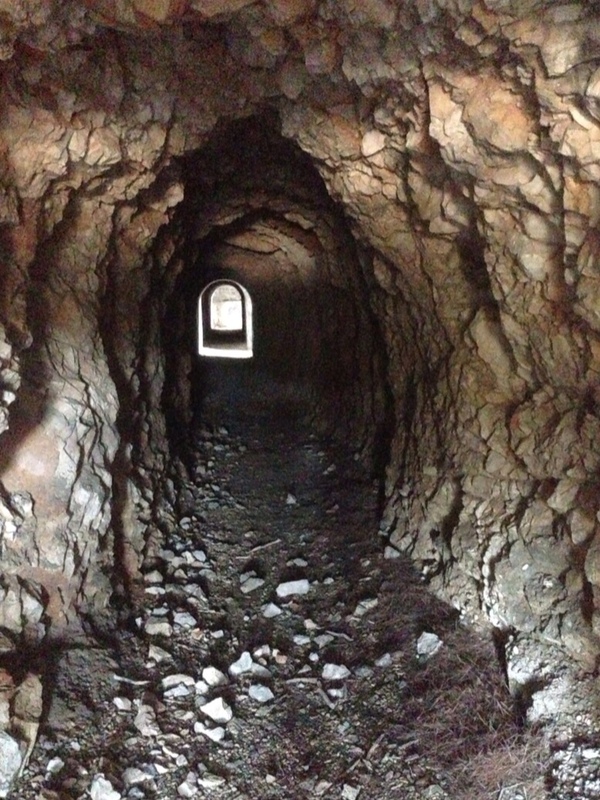 Further back, the tunnel is rough-hewn, very reminiscent of the Pitve tunnel! On the right side are short branches to the outside world. 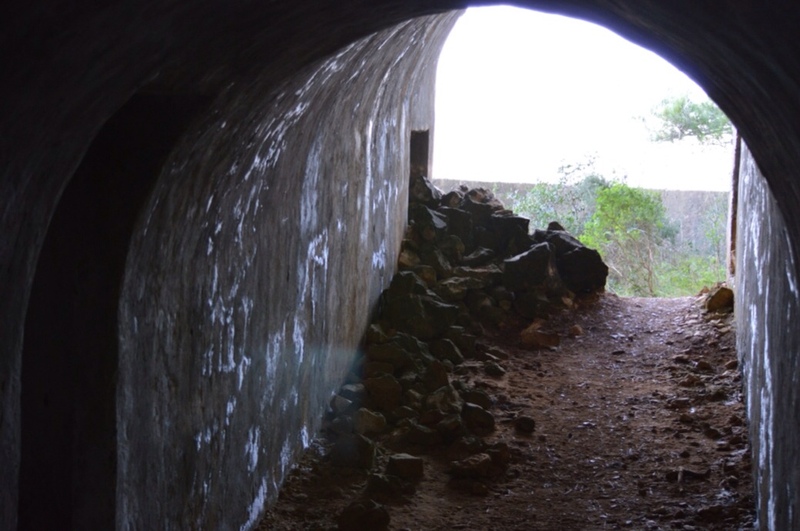 These are semicircular gun emplacement, though I understand they never did have any guns here. Useful as lookout posts anyway. 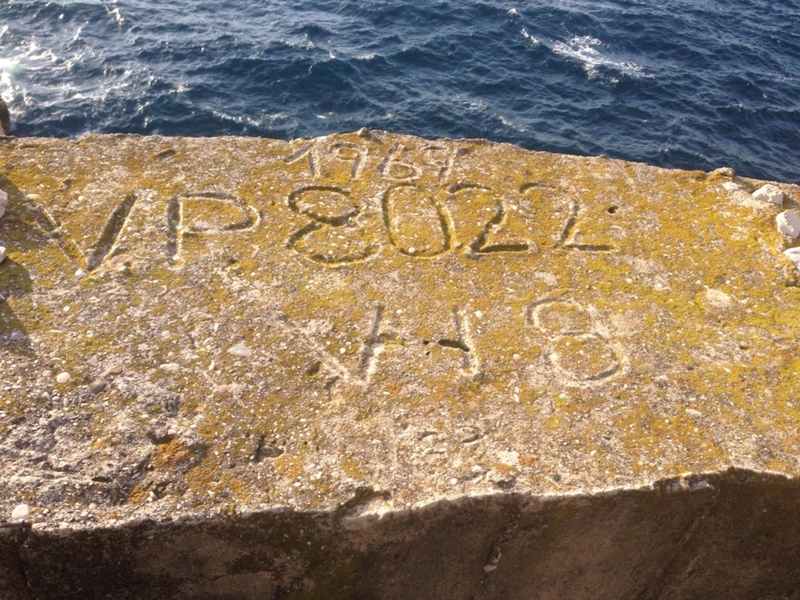 One of the emplacements shows the date of 1969 and what was presumably the operational unit that was here. 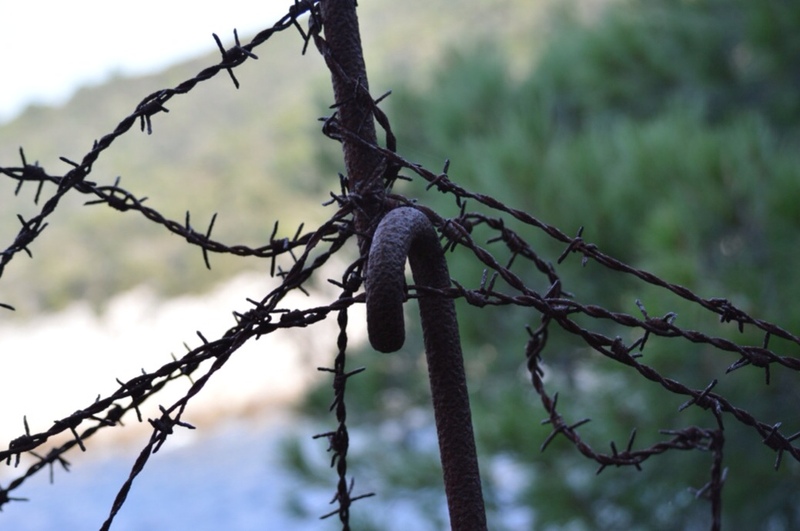 The path up and the nearby shingle beach show rusting remnants of barbed wire fencing. 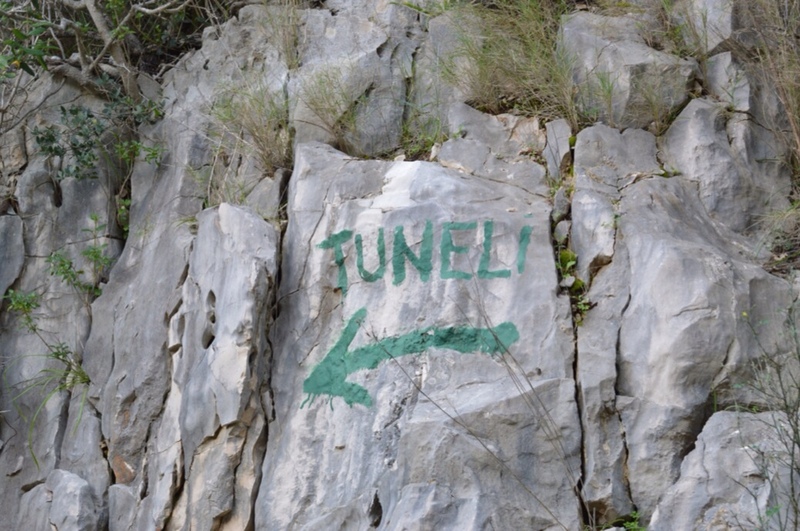 But the tunnel complex itself is accessible, signposted, even. You’d best bring a torch to explore its full length, as it gets pretty dark further in and the ground is a little rough. Very interesting to visit, though! 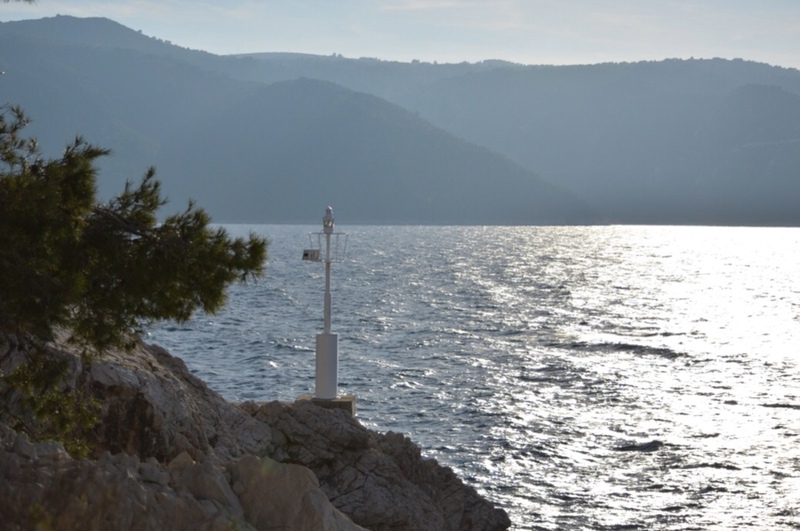 In the same area, Vis had been the “Forbidden Island” since the 1940s, hiding a much larger complex of secret tunnels and fortifications. Only open to foreigners in 1989, these days, of course, they are a tourist attraction! 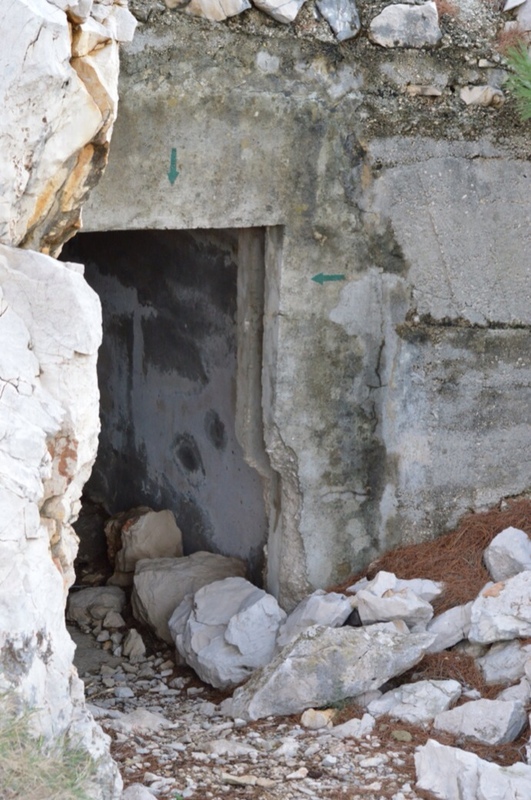 On the island of Brač were top secret submarine pens one of which was recently up for sale. Now that might make a good seaplane base?